My name is Lisa and I'm the publisher of Flour Me with Love. I'm a stay-at-home mom to four kids, and I have a passion for baking. Life can be very hectic, and I know a lot of people don't have the time to bake. Plus, some feel that it may be too complicated. I started Flour Me with Love to show everyone just how simple it is. I show step-by-step photo tutorials and have easy to follow instructions. I also use readily available ingredients so you'll be able to make any of the recipes on my blog. I hope you'll follow along! Chocolaty tarts with a gooey center, then topped off with a slightly sweetened whipped cream! A wonderful recipe perfect for any holiday gathering. Today I made Chocolate Mousse Tarts to share with all of you. This is a very simple recipe and would make a great addition to your holiday cookie tray this year! Gather all materials. Preheat oven to 350F; generously grease a mini cupcake pan. Over a double boiler, melt the chocolate chips; set aside to cool. Beat eggs and flour until thick and fluffy. 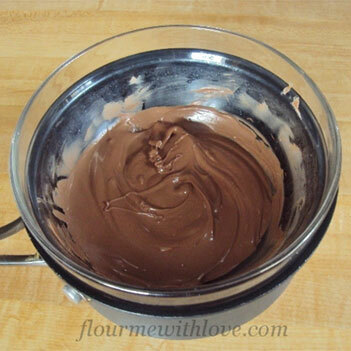 Mix the chocolate into the egg mixture. Bake for 7-9 minutes; just until set around the edges, but the center is still wiggly. 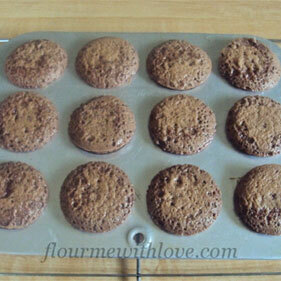 Allow to set on a wire rack until they cool down for a few minutes. Remove from pan and allow to cool completely. Whip the heavy cream and sugar until stiff peaks form. 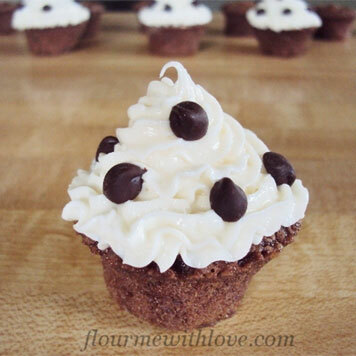 Swirl on top of the tarts and sprinkle on some mini chocolate chips. 1. Gather all materials. Preheat oven to 350F; generously grease a mini cupcake pan. Over a double boiler, melt the chocolate chips; set aside to cool. 2. Beat eggs and flour until thick and fluffy. 3. 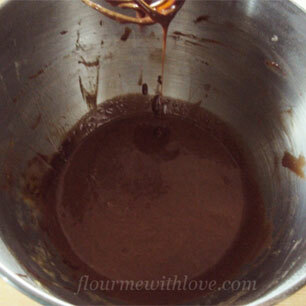 Mix the chocolate into the egg mixture. 4. Bake for 7-9 minutes; just until set around the edges, but the center is still wiggly. 5. 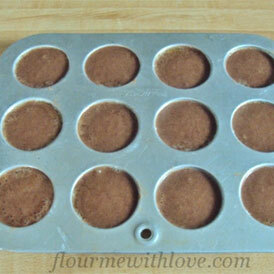 Allow to set on a wire rack until they cool down for a few minutes. Remove from pan and allow to cool completely. 6. 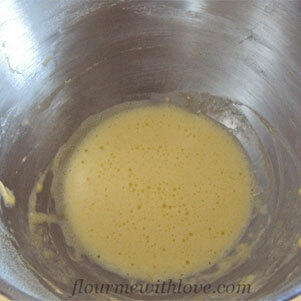 Whip the heavy cream and sugar until stiff peaks form. Swirl on top of the tarts and sprinkle on some mini chocolate chips. I hope you enjoy! I'm so happy that I was invited to do a guest post on Morsels of Life, and I hope you'll stop over and visit me soon. Thanks for guest posting this tasty recipe!